Comments: An early blooming rhododendron that reminds you that spring is just around the corner. 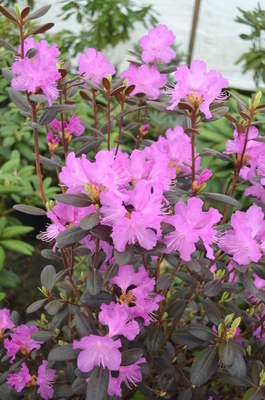 Covered with rich pink flowers atop aromatic, dark purple foliage. New growth is a mottled green turning darker as cool weather approaches.